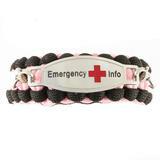 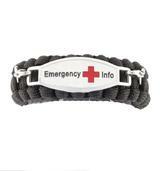 Medical ID Store offers Custom Engraved Paracord Medical Id Alert Bracelets for kids and adutls. 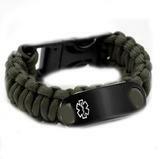 Paracord medical id is very strong and durable and does well while wearing in the water. 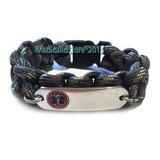 Howver I highly recommend after wearing out paracord medical bracelets in pool or the ocean you rinse them off very well with tap water as the chlorine and chemicals can damage the paracord and tag. 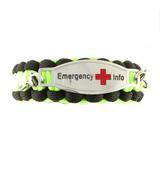 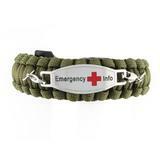 These Paracord medical id alert bracelets are for men, women, teens and kids. 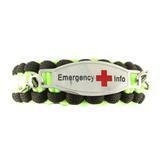 They are custom made to your size unless otherwise listed.